Some people, like Elizabeth Cutler (founder of SoulCycle), really do have it all. A doting husband, two adorable children, a beautifully appointed apartment in the heart of Manhattan, a booming business that's opening it's 19th outlet, and a charming New American-style home in the Hamptons (East). It kills me, really. But what I cannot have I shall shamelessly obsess and lust over and store up ideas for my own future potential far more humble abode. That wall paper in the kids' room. 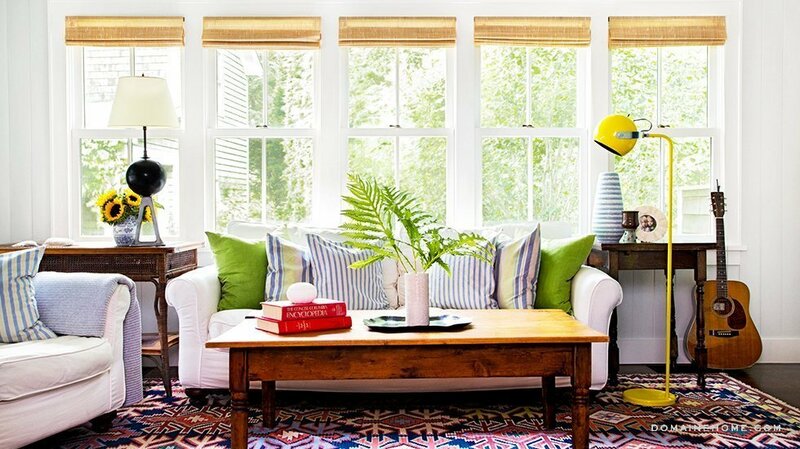 The cheery bright accents in the living area. The lovely, large and light drenched kitchen. What's not to love? Click away to scroll through a sampling of pretty, the full gallery (plus an interview!) is over on Domaine Home.